Maaike heads up the Aviation Marketing, Cargo, and Customer Experience department at Amsterdam Airport Schiphol. She has spent her entire working life in the aviation industry, including several years at Brisbane Airport Corporation in Australia. She believes diversity is a key component for successful leadership and team cohesion, and that embracing digital technology is the future of pharma logistics. Right now, we are slot constrained at Schiphol and we have had to redefine strategies in response to that challenge. We are working on a vision for 2025 and developing a road map to get there. The situation has been challenging, but it has also been a career highlight to finalise a cargo strategy that will assist in our response to the challenges. What challenges have you experienced as a woman, and how did you overcome them? I have never found it challenging as a woman in this industry. Even though it is quite a male dominated sector, I have never experienced anything negative. Sometimes it can even be positive to be female in this industry as it helps people to remember better. I personally think it’s more about who you are as a person and what you bring to the role that matters, not your gender specifically. I really believe in diversity – male, female, and cultural diversity. It is good for all industries to have a diverse management team and workforce. Leaders from different cultural backgrounds have different perspectives, which results in more inclusive decision making. What makes a great female leader in pharma logistics? With any leadership position, it’s about having a vision that people can buy into and making sure that people are empowered to contribute to that vision. Our job is to make sure they have the tools and the confidence to work towards the goal. Why is pharma logistics a good sector for women to rise into leadership roles? If you perform well as a female there are good opportunities to rise because there is a growing need for diverse teams, but you need to be good at what you do first. It all starts with good performance. If you are female but not performing, then you will never get to a leadership position. 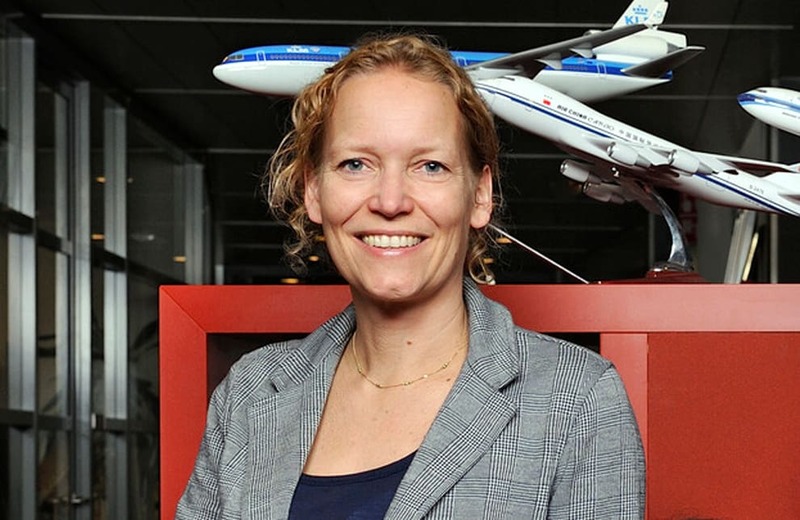 What makes Schiphol the right place for women in leadership? About 10 years ago, Schiphol made an effort to ensure there are diverse teams and a diverse management, which allowed women to grow into leadership positions. Now, it doesn’t matter if you are male or female because all of the teams are mixed. I think we could improve on cultural diversity though. No, I think as a leader we feel responsible whether we are male or female. It’s the same for each leader. I am quite closely engaged with my team, which may be seen as a female trait, but I have also seen male leaders that are heavily involved. What is the future of pharma logistics? What changes are you expecting? Pharma is a growing industry. People are living longer and there is a rising need for healthcare. Pharma needs more special care than general cargo and it’s important that such cargo is handled properly along the pharma air cargo supply chain. At Schiphol, we want to make sure that pharma parties are CEIV certified and that pharma goods are processed properly.